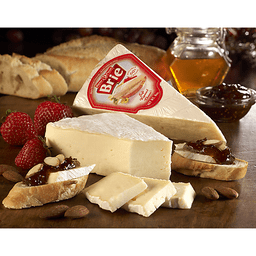 Reny Picot® Brie Soft Ripened Cheese. Double creme. Net Wt. 8 oz. (227gm). Serving suggestions at www.oldeuropecheese.com.